Michael S. Okun, MD, is internationally celebrated as both a neurologist and a leading researcher. He has often been referred to as "the voice of the Parkinson's disease patient". He was honored at the White House in 2015 as a Champion of Change for Parkinson's disease. He has an international following on the National Parkinson Foundation's Ask the Doctor web forum, and he is a professor of neurology at the University of Florida Health Center for Movement Disorders and Neurorestoration. His many books and Internet blog posts are brimming with up-to date and extremely practical information. This audiobook is the sequel to his runaway best seller, Parkinson's Treatment: 10 Secrets to a Happier Life, which was translated into more than 20 languages. Dr. Okun is well-known for infusing his audiences with positivity and optimism. 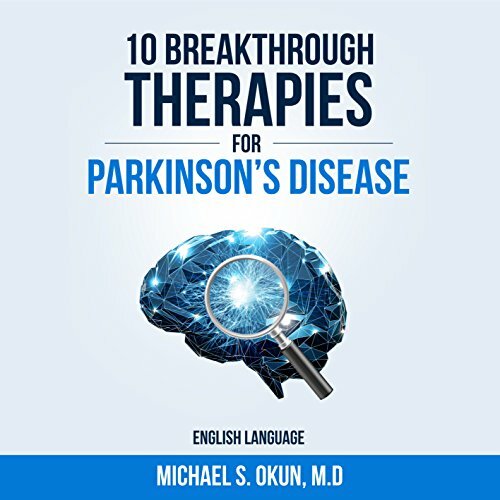 In this book, he reveals the breakthroughs and therapies surrounding Parkinson's disease that will pave the road to meaningful progress, which extends far beyond a single drug or stem cell. He paints the broader and more exciting picture and reviews the portfolio of breakthroughs spanning drug, cell, vaccine, device, genetics, care, and behavior. He believes that patients and families with personal investments in Parkinson's disease should be informed and updated about all of these potential breakthrough therapies. This book informs, educates, and will inspire Parkinson's disease patients and family members, as well as health care professionals and scientists. As Dr. Okun points out, we will journey toward better treatments - and one day a cure. Brave Companion Helps My Parkinson's Disease.. This book is largely selling false hope. There are two or three functional treatments listed. The rest of "ten" are medical trials that haven't produced results, yet each chapter ends with statements of wishful thinking that maybe one day these failed strategies might work. There is no discussion of root cause or cure.